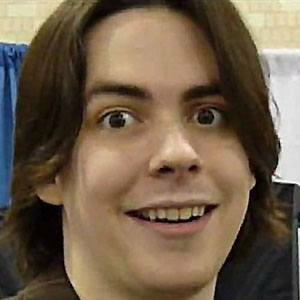 Known on the internet as Egoraptor, he is a voice actor and animator who created The Awesome Series, an animated web series. Other notable credits of his include Game Grumps, Starbomb, and Sequelitis. He was born in Florida to Maurette and Lloyd Hanson, and he became interested in animation during his childhood years. He provided the voice of Dr. Bruce Banner/Hulk for the 2006 video game Marvel: Ultimate Alliance. He married Suzy Berhow in October of 2013. He lent his voice to the season 2 finale of Rick and Morty, acting alongside Justin Roiland.